God calls us to do more than we are able. Our problem is that we underestimate His calling and overestimate our abilities! In John 13 Peter underestimates God’s calling; he wants to lay down his life in lovefor Jesus (John 13:37), but Jesus calls him to lay down his life in love also for others (John 13:34). Peter overestimates his abilities, saying, “I will lay down my life for you” (John 13:37) but would deny Jesus three times (John 13:38). Nevertheless, God makes his calling possible by his grace. Indeed, John 13:31–38 shows that God is glorified by mind-boggling love made possible by undeserved grace. FirstGod is glorified (John 13:31–33) not only in the impressive and intimidating but also the broken and mundane; Jesus brings glory to God in the shameful “defeat” of the cross. 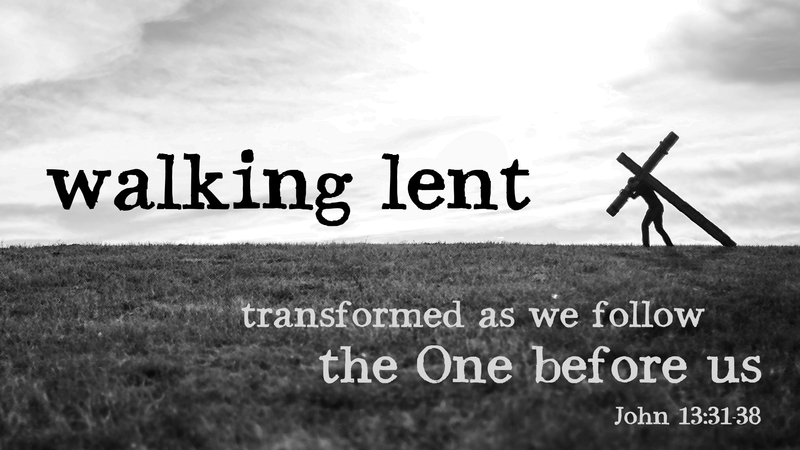 Lent reminds us that Jesus’ ascension to the right hand of the Father is preceded by his descent into the depths of our sin on the cross. Similarly our ascent to soaring realizations of the extent of the glory of the Father is often preceded by a descent into the realization of our sin and that of others. 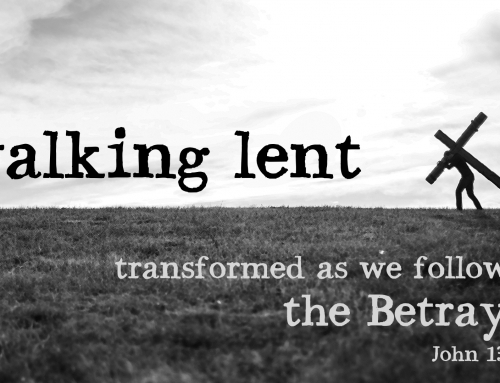 Indeed Lent reminds us also that we must first descend to the realization of our own sin before we ascend to the realization of his glory and grace. Yet God is glorified by mind-boggling love (John 13:34–35). Jesus models a mind-boggling love and calls his disciples to love one another with that same love (John 13:34). This love is more than being nice. To love like Jesus loved is not to love like the world expects, but to love faithfully, at cost to ourselves, forgiving wrongdoing, forbearing with weakness in a way no one can in their own strength. And that kind of love, coming from us is how the world will know we are Jesus’s disciples (John 13:35).But how is that type of mind-boggling love even possible? God is glorified by mind-boggling love made possible by undeserved grace (John 13:36–38). Peter is convinced that he would follow Jesus anywhere, even to death (13:37), and we’ll see his resolve in the garden (John 18:10). But he’s ready to follow Jesus into visible obedience not unseen self-sacrifice. Sometimes we too get ready to make one big showy sacrifice on God’s behalf but not ready to daily take up our crosses in unseen, daily acts of love and self-denial. To be able to do that, we’ve got to get the order right; “we love because he first loved us” (1 John 4:19). Jesus had to go first, showing us the love of God by laying down his life for us, so that we could receive new hearts (Deut. 30:6; Jer. 31:33, 32:39-40; Eze 11:19, 36:26-27). Since Jesus has gone first, we then can submerge ourselves in streams of grace so that we can then love as Christ loved us. We can only step into mind-boggling love by undeserved grace. So what? May we not set our standard not just at “good” or “nice” or “moral” people, but at replicating the mind-boggling love of Christ, and may we take our steps forward toward loving others like he did by first receiving his deep love for us.